During our junior seminary days parents and relations were allowed to visit us once in a month (that is the last Sunday of every month). Visiting days were actually very important to us then, primarily because parents and relations who visited brought specially prepared food from home which were actually nothing to compare to what we were given that time in the seminary. On those visiting days, few people ate from the refectory; these included either those who had no luck of being visited or those who could not be accommodated by the lucky ones who received visitors. To visit without food was same as not coming at all. Back then, entering the dormitories one could perceive the aroma of different kinds of dishes coming from different corners. There were dishes from big cities, some from the urban areas, some from suburban areas, other from the rural areas, others still from inner villages! They also came in different food flasks or containers. In fact, the packaging tells a lot about the origin and content. The truth was that some tasted better than others. There were some dishes that both the packaging and the aroma sent deplorable signals, while others were quiet tantalizing and savouring. However, one common denominator was that all the dishes finished or were thrown away at some point. In fact, after the visiting day they became narrative topics and waste materials. This is simply a strong pointer to the fact that no matter how much food we eat now, we shall still be hungry afterwards. However in the interlocution with the Jews in the gospel today (John 6:51-58), our Lord Jesus Christ established that he has a kind of food of which if we eat, we will not only not hunger for any other food, we will from it derive eternal life. This food is actually his flesh and his blood, when we partake in them we become one with him because we are assimilated into him; in few words we become what we eat. Food is one facility that has great importance all over the world is food. Food is so important that it has become an identity for many people across the globe; hence some people are known because of the food they eat or a particular food item calls to mind a particular people. People eat food particularly maintain their overall physical well-being. If we break this down further, food functions in maintaining proper health as well as in the prevention and cure of diseases. It is actually a natural propensity to desire to eat food when one is hungry. According to experts too, what we eat has a lot to do with the responsiveness of our body metabolism. It is upon this latter that nutritionists advise that people eat balanced diet or food with desirable nutriment that would be beneficial to the functioning of the human body as well as for nourishment. Hence, Beyond the basic need for food, there are various gradations or if you like hierarchy of food. Some are more nutritious than others. Today we are presented with THE FOOD THAT MAKES ABSOLUTE SENSE! In the First reading (Proverbs 9:1-6), our Lord Jesus Christ is symbolized and personified as Wisdom. Wisdom is here seen as one who built a house (this house is understandable as the Church), erected seven pillars (we here call to mind the seven sacraments of the Church), slaughtered beasts, prepared wine and laid a table (here we make a link with the immolation of the lamb and the Eucharistic Sacrifice). Wisdom further dispatched the maidservants to invite all to come and eat bread and wine (the invitation to all the faithful to participate in the Holy Eucharist which is the Body and Blood of our Lord Jesus Christ together with his Soul and Divinity under the appearances of bread and wine). The maidservants here depicts those who are missioning for Christ (Matt: 28:19-20). The gospel reading today can thus be seen as a concretization of the imagery presented in the first reading. If the Jews had been attentively connected with the scriptures, they could have understood that the wisdom described in the book of proverbs was really the one with them. 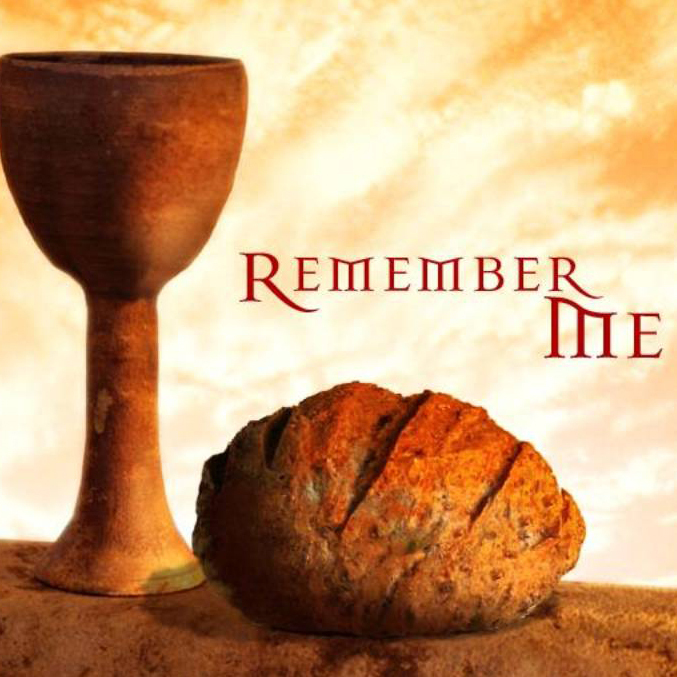 Among other attributes of the body and blood of our Lord Jesus Christ is the fact that by partaking in eating of his body and drinking his blood we have the gift of eternal life; that is, we live forever. What more do we need? There are many today toiling and working to feed on food (like the ones we had back in the minor seminary) that will spoil and will never last (Jn. 6:27). Of what benefit is life without this eternal and life giving food (Mark 8:36; Matt 16:26). Happy Sunday and a blessed week ahead!